The British Columbia Ministry of Environment has updated some of their information on the Stage 10 Amendment and we thought we would share it. Please click here for a link to their information on the Stage 10 Amendment. Below information is still relevant on the topic. As always please contact us if you have any questions or concerns. It has become a discussion point that proposed Stage 10 amendments to the British Columbia Contaminated Sites Regulations (BC CSR) are slated to come into effect Spring of 2016, and for many of us the implications of these changes are still a mystery. In an effort to keep our clients in the know about what is coming down the pipeline, CARO hosted a Technical Breakfast Seminar on November 18th at our Head Office on the proposed BC CSR changes coming. It was a concise technical seminar to address the impact of these changes on your business and what you can expect when they finally become reality. Thank you all the attendees and special thanks to the presenters for the information they gave everyone. 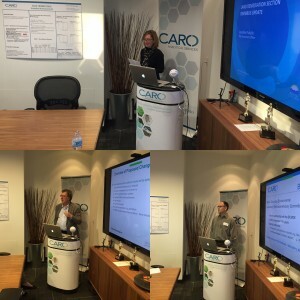 Below are links to the presentations, as well as, a link to our CARO YouTube channel which has the full audio and video of the seminar. Please feel free to contact us here to obtain further information, request supplies or to speak to a customer service representative about your specific testing needs.